Thanks to fellow user Neil! It works great and it's going to be a nice retro rig. 850MHz PIII, 512mb RAM, 16mb ATI gfx, DVD-ROM drive, floppy drive, 1600x1200 resolution 15" display (!!! ), 30GB HD, Windows 98SE + Windows 2000 dual boot. Yours looks pretty well-kept. Congratulations. Let's pray that BOD stays far, far away from it. Very cool machine you got there! Cool laptop, looks very professional and robust. You can also find some other interesting upgrades and patches on that site. 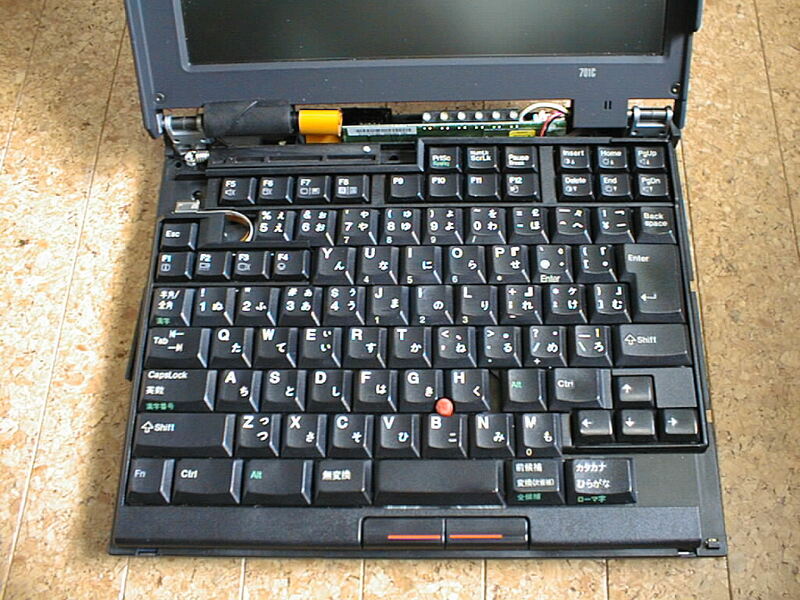 I use Win 98 on my Toughbook CF-71. Alternatively you can install any modern linux with a lightweight graphic environment (Xfce or LXDE) or dual boot them both. If you don't know what linux to install, I recommend 32-bit Linux Mint with Xfce. Thanks folks! It's pretty cool and everything runs nicely. @kony yeah I am familiar with MGDx's fantastic site and work... I've also installed KernelEx and have 2000 on it as well so it's going to be pretty solid. I've always really loved the exterior design of the A21 over the A30/A31... but the hardware is too old for my taste. I'm pretty sure I'll end up with something like yours at some point, just because I'm that crazy. Roller Coaster Tycoon?! You sir, know fun. 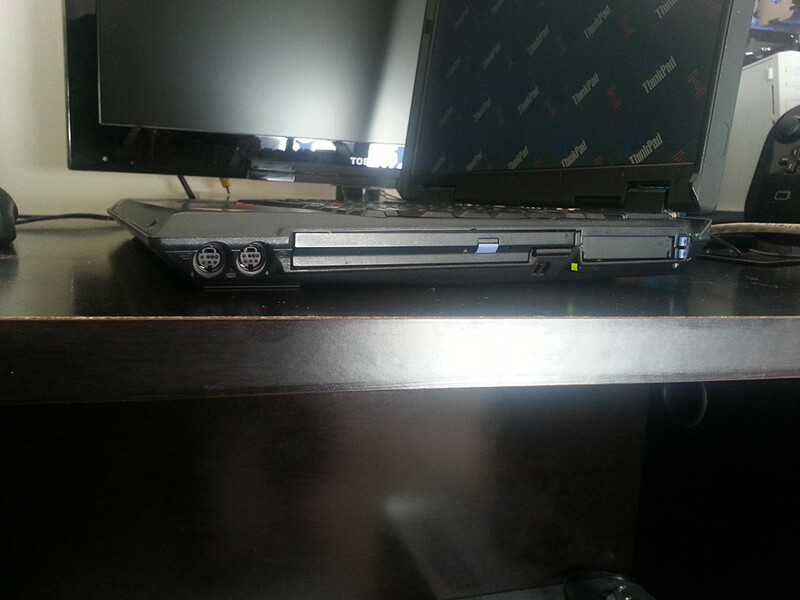 I really do wish you and your A21p some awesome Thinkpadding days to come. While this machine runs Windows very well, I was never able to get any Linux other than Puppy to boot on it without graphics issues. Don't know why, and never spend much time trying. 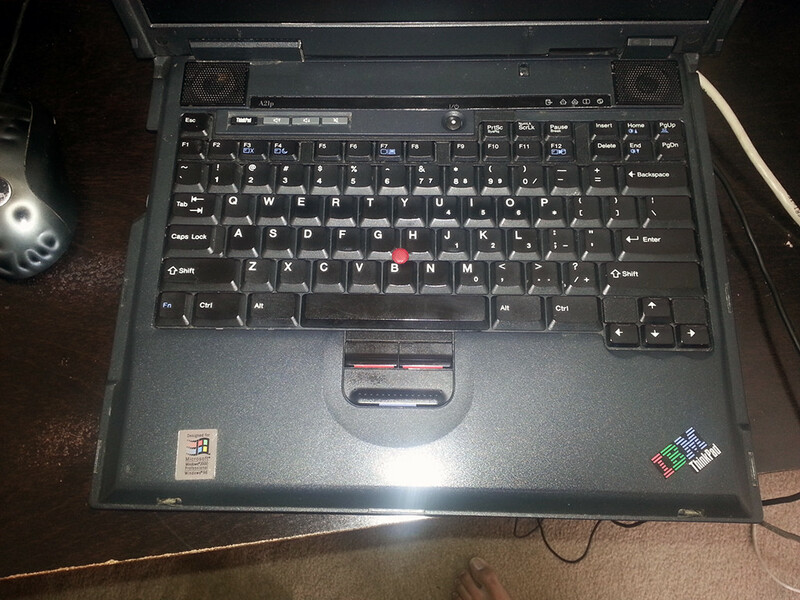 I'm just thrilled someone is able to make use of this very nice classic ThinkPad. It was just being ignored at my place. 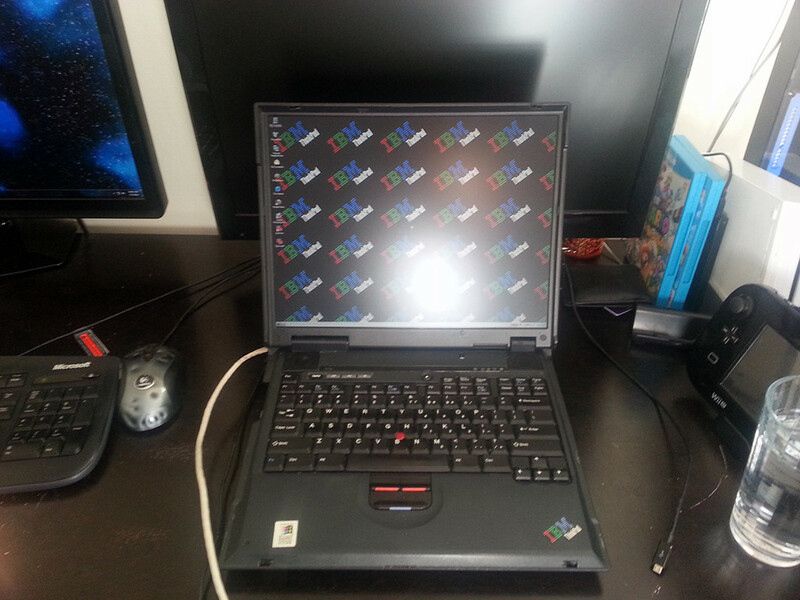 Neil wrote: While this machine runs Windows very well, I was never able to get any Linux other than Puppy to boot on it without graphics issues. Don't know why, and never spend much time trying. I have an A21M with Win2K and it runs great- was not able to get any Linux to work other than Wary, or DSL but they didn't work well. That's a very nice look A21P. What's this BOD that was referred to earlier? Sounds bad. With regards to Roller Coaster Tyconn: That is a very fun game. May you have much fun with some retro computing. I didn't realize that the dual S-Video ports (in and out) were present on the A series since A20p (on all the p-models and only on them). And I spot a Logitech MX518 mouse on your desk. I caught one on sale a couple of years ago myself, and it's really comfortable. Could you take some pictures of the underside of the machine and the battery? Apparently, on advantage of the A20 series over the A30 is the battery being 9-cell. I wonder what prevented them incorporating a similar battery in the A30 chassis, instead going for a 6-cell. Temetka wrote: What's this BOD that was referred to earlier? Sounds bad. BOD (or BoD) = Blink of Death. It's a power-up failure with a very distinct symptom: Upon pressing the power button, the hard drive LED blinks for a fraction of a second and that's the only sign of life in the system. 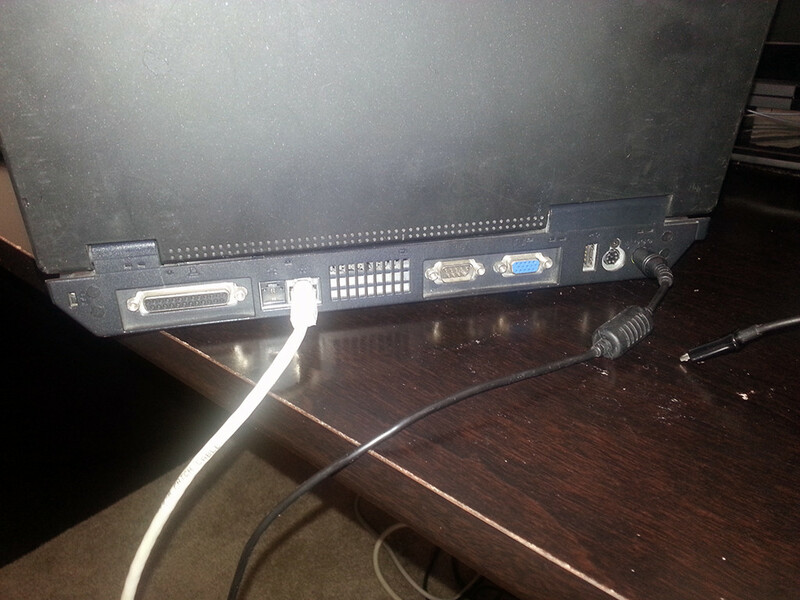 No beeps, no backlight, no cursor on the screen, no external video; nothing except the LED flash. However, on a "good" day, the system will boot up and run without any problems. The systems involved are T20, T21, T22, A20, A21 and A22. I believe that so far, an exact cause and (easy) permanent fix has eluded discovery. I think it's something to do with the voltage/current protection circuit in one of the power controller chips on the motherboard (MAX1631, MAX1632, and/or ADP3421). Some people have reported success by replacing one or more of those chips but others have not had any luck with the same repair. My guess is that the controller chip(s) are actually working correctly and it's the overvoltage or overcurrent detection circuit that's causing the problem. Geez... that's quite a killer. Very particular issue with no clear solution except a motherboard replacement. I imagine the frequency of this issue surfacing is pretty low... however it affects all laptops you mentioned regardless of build date, condition of production, hardware options, etc.? I still would love to have one of these old things. 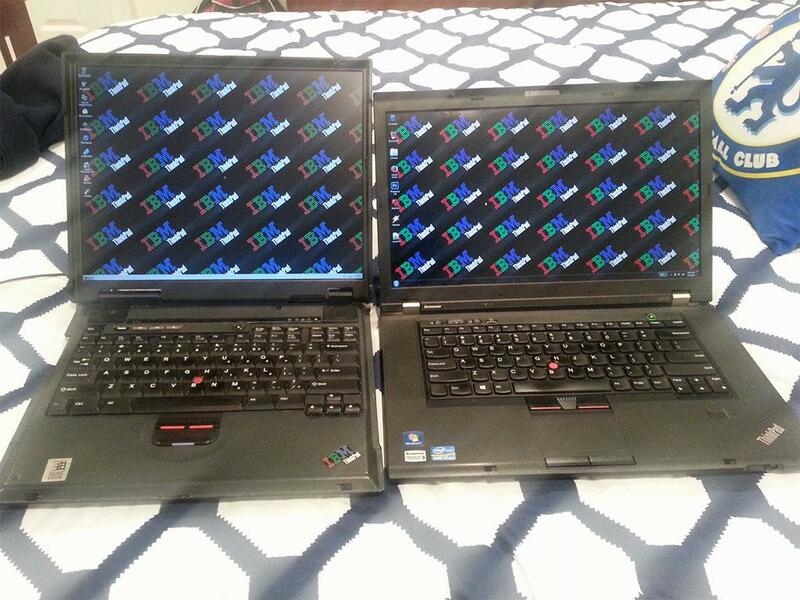 Showed my roommate today who bought a T43p and X60 off me that he's absolutely fallen in love with, he kinda doesn't share my point of view. 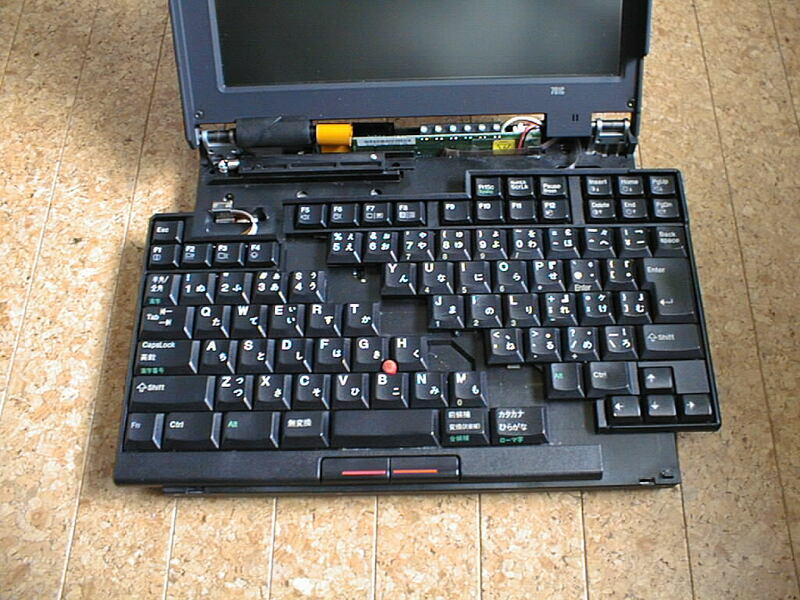 But that's the way it is with most vintage Thinkpads, people will either just not care for them, or love them to death. The 701 being an exception... almost every person who's seen my 701C just thought it was the coolest thing they've ever seen. The 701C has a very unique keyboard that's built from two plates. When the LCD is closed, the plates shift diagonally inward to stay enclosed inside the chassis. When the LCD is opened, they shift diagonally outward so that the keyboard is wider than the chassis and all the keys are properly aligned. Thanks for sending it so promptly. Yeah it's a 9 cell battery. FRU is 02K6614. The MX518 is connected to my desktop, tis a wonderful mouse and has been good to me for over 5 years now. 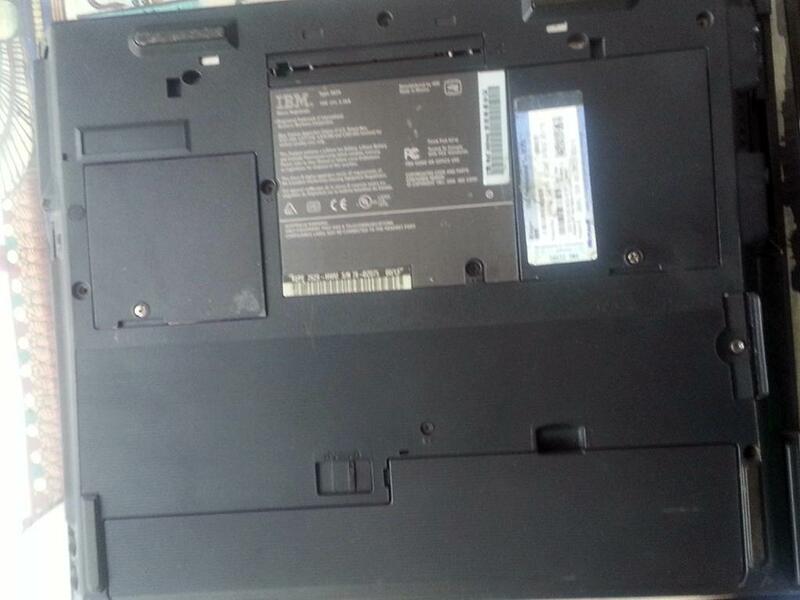 The battery appears to be similar in placement and size to the A3x battery, except that the latter is diagonally cut on the left side (see picture here, for example: http://www.amazon.com/Lenovo-ThinkPad-S ... B001AZLIM8). It is likely that this imposed constraints on the number of cells that could be crammed into the battery. This sacrifice is likely to be due to the left side Ultrabay present in A3x, but not A2x. 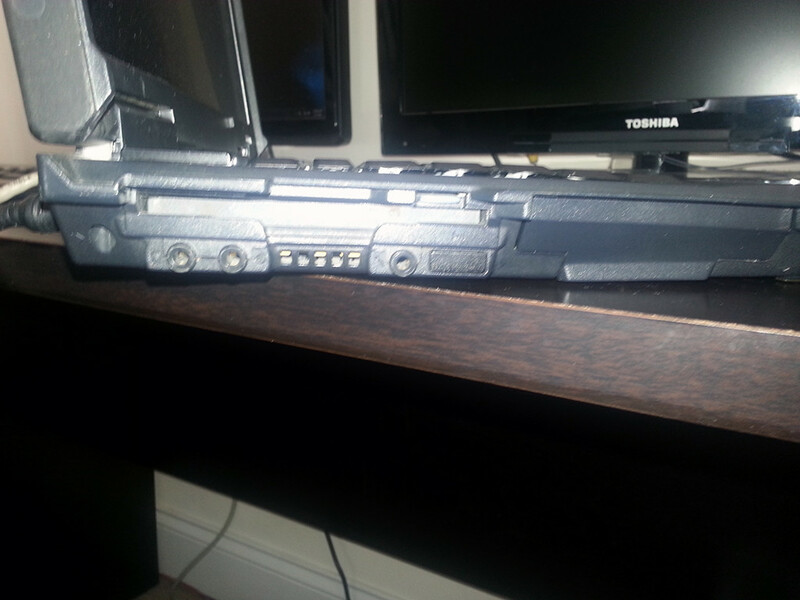 A2x's floppy drive on the left side is further back compared to the Ultrabay on A3x. This, in turn, appears to be because of the big vent on the back left of the A3x chassis to cool those hot-hot Pentium 4 chips. But if you think about it, A30 series started with P-III CPUs. Was IBM already thinking ahead to the P4s when designing the chassis? I don't think P-III were particularly hot. Medessec wrote: Roller Coaster Tycoon?! You sir, know fun. I've played RCT and RCT2, but the one I loved best was/is RCT3 (with the expansion packs). I used to spend hours on that game! I got bored last year and dug it out again and installed it. Still works perfectly on Windows 8 and I spent hours and hours on it again. Epic game. Nice vintage machine there by the way. I believe all A3x used the same heatsink, or same design. The Pentium IIIs in the A30 ran nearly as hot as the Pentium 4s, but yeah, I'm pretty sure IBM had to have a little talk with Intel while finalizing the A3x. Roller Coaster Tycoon is probably one of my most favorite games ever... I've dumped so much of my childhood into RCT and RCT2. I might as well make a whole topic on Roller Coaster Tycoon... seems a lot of people on here have played that. Medessec wrote: I believe all A3x used the same heatsink, or same design. The Pentium IIIs in the A30 ran nearly as hot as the Pentium 4s, but yeah, I'm pretty sure IBM had to have a little talk with Intel while finalizing the A3x. A30/p shares the same heatsink. A31/p up to 1.8GHz has another, and versions with 1.9/2.0 CPUs share the third one. It's so much fun to make death machines fast, fun and safe roller coasters!